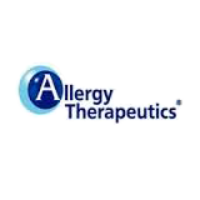 Allergy Therapeutics plc (LON: AGY), the fully integrated commercial biotechnology company specialising in allergy immunology vaccines, today provided a trading update for the six months ended 31 December 2018 ahead of its Half Year Results to be announced on 6 March 2019. The Group is trading in line with Board expectations. 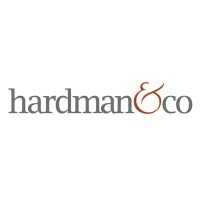 Reported revenues for the six months ended 31 December 2018 are expected to be £46.7m (2017: £42.2m) representing 10.6% growth on both a reported and constant currency basis. In terms of geography, the main contributors to this strong sales growth are Germany, Austria, Switzerland and Netherlands. Spain has continued to grow well despite the withdrawal of all bacterial products across the market. In terms of product mix, this growth is being driven primarily by the Group’s ultra-short course, aluminium-free treatments (Pollinex and Pollinex Quattro) as well as Acarovac and Venomil. The Group continues to gain market share in Germany1 and again achieved number one position in this market for the month of October 2018 (the Group’s busiest month of the year) for the second year running2. The Group continues to make good progress with the peanut allergy vaccine outsourced manufacturing scale up and the Acarovac Phase I trial for dust mite allergies. The first in-human trials for the Polyvac peanut product are expected to start in 2019, and data from the Acarovac Phase I trial is expected in H1 2019. As announced in December 2018, the top line results of the PQ Birch Phase III trial will be announced in Q1 2019. Meetings with the FDA and the German regulator, the Paul-Ehrlich-Institut (PEI), in relation to the PQ Grass trials are scheduled for Q1 2019.